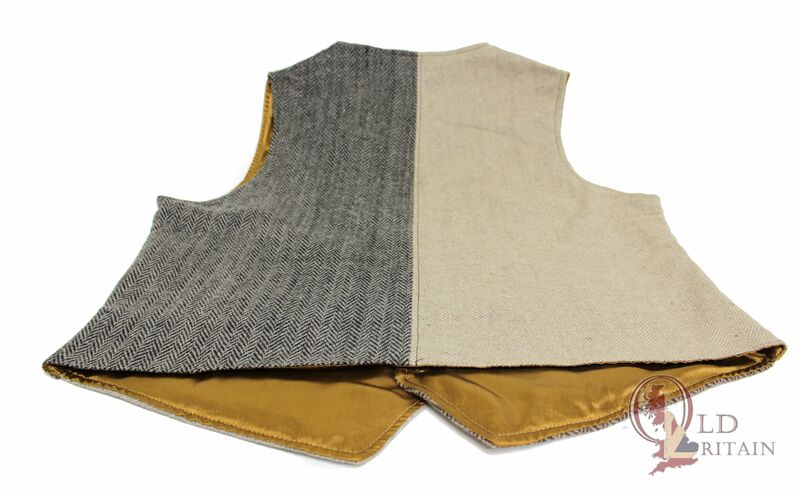 New Shire classic wool two tone tweed waistcoat. 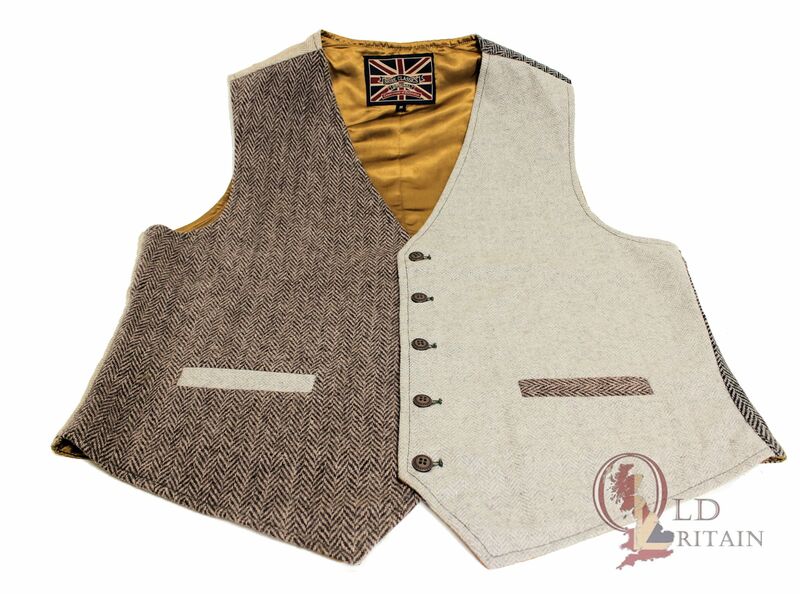 This lovely waistcoat is a perfect example of great British country wear. 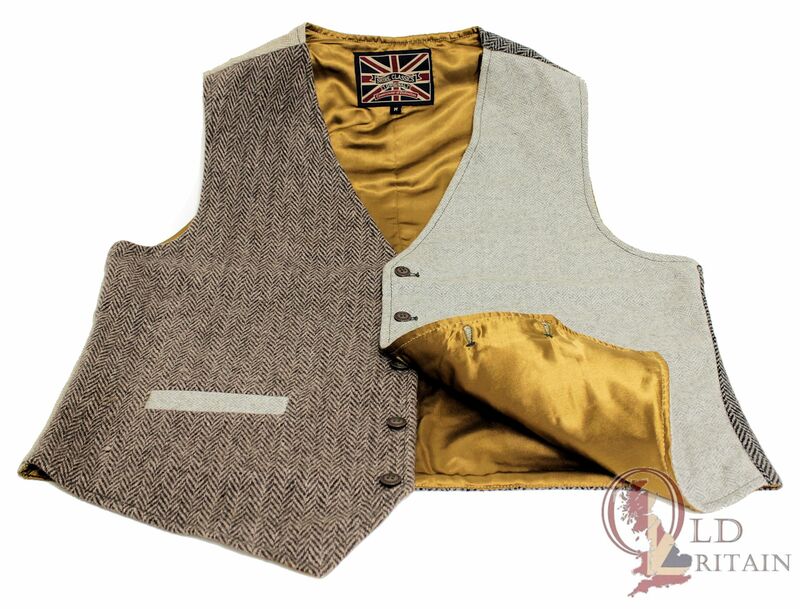 The traditional herringbone tweed fabric offers a true British icon effect. Traditional British outdoor informal country wear. The inner gold lining blends in very nicely. 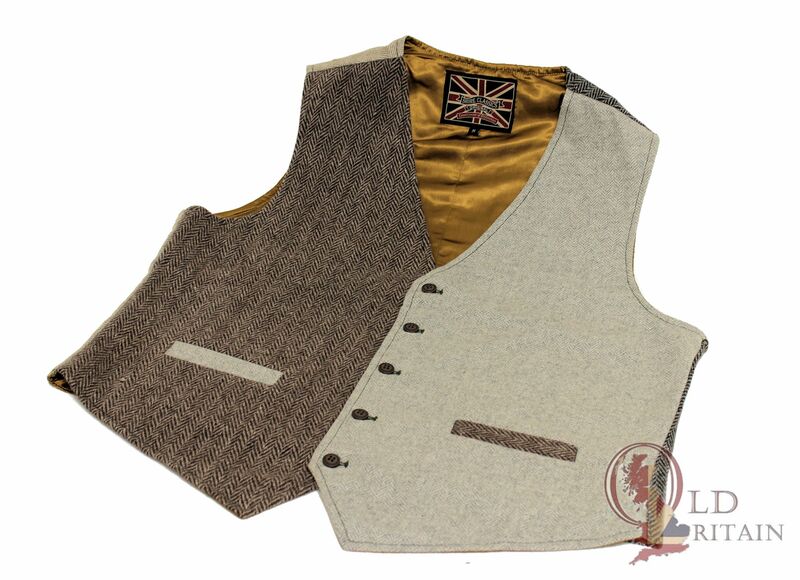 These beautiful British classics are traditionally worn during hunting or shooting trips. The fabric is both water-resistant and durable and is a great material to keep you warm. We have a different design of this here. This is a pre-order item. Please allow up to two weeks for delivery.